I'm nearing the home stretch of a move from California to New Mexico. (I'll be writing about that eventually, but right now I'm in the middle of Moving Hell.) Since we're about to drive our cars out to a place that's getting freezing temperatures, Dave got the bright idea that we ought to replace our windshield washer fluid with a type that doesn't freeze at 32°F. Easy, right? We drove down to Pep Boys -- and couldn't find any. All they had was marked as 32°. So we asked the gentleman at the counter. Pep Boy: Sorry, we only carry the 32-degree kind. We're not legally allowed to sell the other kind. Pep Boy: We're not legally allowed to sell the antifreeze type because it hardly ever gets down to freezing here. Us: But what do people do when they're driving up to Tahoe or something? Pep Boy: They start with the tank empty, stop partway up and buy some, and fill up there. We drove down the street to O'Reilly's, to double check. O'Reilly's sells a concentrate with additives (methanol) for subfreezing temperatures. Just add water. Wait, what? I did a web search when we got back home. Sure enough, the California Air Resources Board (CARB) has made it illegal to sell pre-mixed windshield washer fluid with methanol, because the methanol evaporates contributes to "ground level ozone and air pollution", according to The Hanford Sentinel: Looking for winter windshield washer fluid? Good luck! It's illegal to sell pre-mixed. But it's legal to sell concentrate -- even though the concentrate contains far more methanol than pre-mixed would have. I saw this car on Bascom the other day. Very cute! Nicely done. Tool sanity! Who knew they had tool rolls? 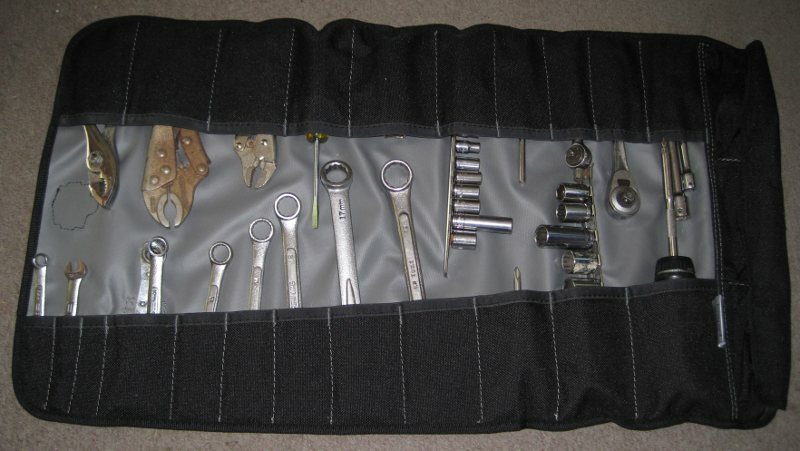 I have an old tool bag I bought at a surplus store a zillion years ago to carry tools in the trunk of my Fiat X1/9, while I was learning to work on cars. It's reasonably compact, with two pockets, which I designated as "wrenches" and "everything else", and it carried nearly all my tools for over a decade. But over that time, it's been getting progressively shabbier and dirtier -- funny thing about something that gets tossed on roadsides and parking lots. And I've been getting tired of the way, when I need to find that 10mm wrench, I have to dump everything in the "wrenches" pocket out on the garage floor and sort through them. Then the last straw was the zipper breaking. Lately, every time I have to find a tool, an idle thought flits through the back of my mind, like ... wouldn't it be nice if I had some flat thing that held all the tools in some sort of order, which then rolled up into a compact bag? It took an embarrassingly long time before it occurred to me that if I was thinking this, maybe someone else had had the same idea ... and to go to Amazon and search for "tool roll". And discover that there were dozens of these things, and they're not even expensive. Under $20 for a nice one. So I ordered one. When it arrived, I took all my tools out of the old bag, washed and dried them, and sorted them. (What ever happened to my 14mm socket? Or the short 3/8-inch extension?) 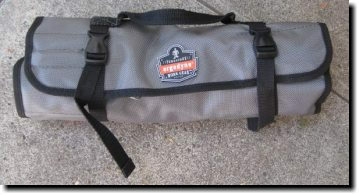 Then I laid out the tool roll and started choosing pockets. I was glad I'd chosen the 25-pocket model instead of one of the smaller ones. I didn't have any problem filling out the pockets, and I'm still not sure what to do with my set of deep sockets. Maybe I should get an even bigger roll! 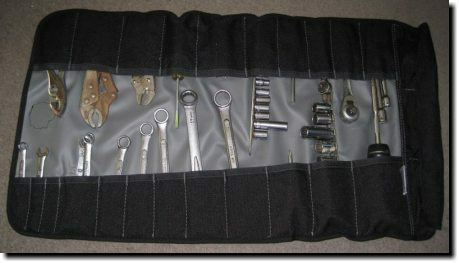 But I'm very happy with my tool roll for now. I'm jazzed about how organized the tools are now and how easy it'll be to find things, and to pack up after a repair job. 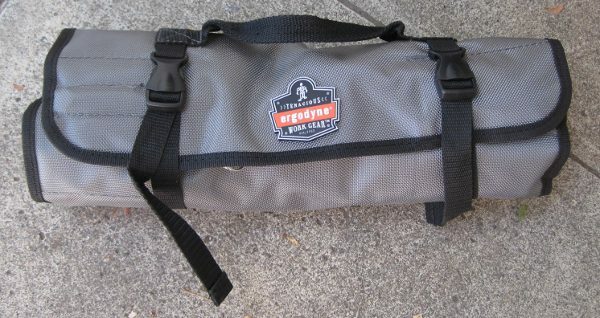 And it rolls up much smaller than the old tool bag, so it'll be easy to store in the Miata's trunk. Not that I expect to need to carry tools with the Miata, like I sometimes needed for the Fiats ... but it never hurts to be prepared. And having my tools in one compact place will also it easy to toss them in the back of the Rav4 when we go on desert trips. I'd forgotten how much nicer sports cars are to drive. I retired my last X1/9 more than a year ago, and have been driving mushy street vehicles since then. The Miata surprises me every time I get into it with its immediacy -- throttle, brake, steering, everything happens now. While use of all seat belts reduce the chance of ejection, failure to install and use shoulder harnesses with lap belts can result in serious or fatal injuries in some crashes. Lap-only belts increase the chance of head and neck injury by allowing the upper torso to move unrestrained in a crash and increase the chance of spinal column and abdominal injuries by concentrating excessive force on the lower torso. Because children carry a disproportionate amount of body weight above the waist, they are more likely to sustain those injuries. Shoulder harnesses may be available that can be retrofitted in this vehicle. 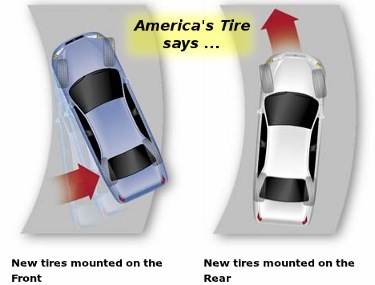 For more information call the Auto Safety Hotline at 1-800-424-9393. If you look at the photo I took of the sticker, note the shoulder belt anchor at the right edge of the frame. It's a normal stock shoulder belt, just like you'll find in any car -- this is a 2000 model, for crying out loud, not a 1970. The dealer must not have read as far as paragraph (3). I also found that, despite the fact that the DMV's website still links to the page I linked above, that statute was in the process of being repealed by CA Assembly Bill 2679. Except that if you click on "Read latest draft", apparently they changed their minds again in the latest version of AB 2679 and are now going to keep the warning in. Maybe instead of leaving it unchanged or striking it, they should change it to make it clearer that it only applies to cars without shoulder harnesses installed ... if there are any such cars. Haven't shoulder harnesses been mandatory in US cars since the early 1970s? Wikipedia says they've been mandatory in the front seat since 1968 ... but the citation they give for that goes to a page that no longer exists, so that may be off by a few years. 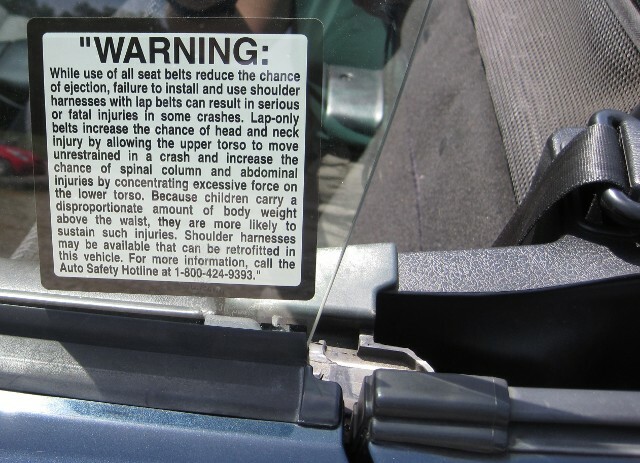 In any case, anyone buying a car so old it doesn't have a shoulder harness and only "may" be able to have one retrofitted to it probably understands there may be some safety issues in a 40-year-old car, and doesn't need a warning sticker. A recent Jon Carroll column got me thinking about Making and Fixing. ... I took it to Dave up at the repair place. "You need a new battery," he said. Looked like a fine battery to me, but what do I know? I had a second opinion from the guy who wanted to sell me a battery. What could go wrong? I brooded about this on the way. I realized how much we are at the mercy of the repair people in our lives, and how much we do not know about, well, most things. That took me back. I grew up with the idea that mechanical things like cars were a little scary, something one doesn't really muck with. This despite the many happy afternons I spent building little balsa-wood gliders with my father. Later, I learned a little electronics, and built little things like a switchbox so my mom could switch between cable and VCR without unplugging anything. But knowing I could handle an X-Acto knife and soldering iron somehow didn't translate to the notion that I could work on anything as scarily mechanical as a car or a home appliance. 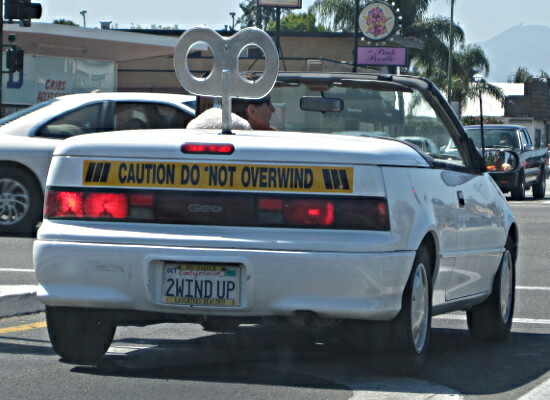 When I was just getting out on my own, my car -- a 200SX turbo, my pride and joy -- developed a terrible ticking sound. When I got on the gas hard, it would make this loud tick tick tick tickticktick. I took it to the mechanic. He listened to the noise and said "Lady, it's your turbo." He said it needed replacement. I was pretty sure that wasn't right. I had read the turbo spun at something like 100,000 RPM. This sound was more like -- I don't know, a few ticks a second, maybe a few hundred RPM? Shouldn't something spinning at a hundred thousand RPM (let's see, that's ... divide by 60 ... 1667 Hz), shouldn't that make a sort of a whine, not ticks? I asked the mechanic that. He shook his head. "Lady, it's your turbo. You have to replace it." I was pretty sure I was being lied to. But what could I do? As Jon Carroll says, "we are at the mercy of the repair people in our lives." I arranged for a replacement. The warranty covered part of it; I still had to pay quite a bit. And when it was over, the tick-tick-ticking noise was still there. I'd been right -- the noise wasn't coming from the turbo. Somehow that didn't make me feel better. I saw a movie some time around then -- some awful movie involving motorcycles, I forget the details -- that had a character I liked. You've probably seen the archetype -- she's been in other movies. You know, the girl-mechanic with the grease smudge on one cheek and the bright eyes. Think Kaylee from Firefly, only this was long before Firefly. I wanted to be that girl -- the one who never had to put up with mechanics lying to her, the one who'd never get stuck somewhere. She had control over her life. She understood the machines. But how do you even get started learning something like that? All the guys I knew who knew how to work on cars had grown up in a culture where they learned it from their father or brothers. I set a goal: I'd do my own oil change. I found instructions somewhere. I bought a crescent wrench -- one of those adjustable things -- and an oil pan to catch the oil, and a new filter. I lay down in the dirt and slid under the car and got the wrench on the bolt and ... it kept sliding off. I couldn't get the bolt loose, and I was rounding off the corners so maybe no one could ever get it loose. Oh no! The instructions didn't say what to do if that happened. I got in the car, drove to the local mechanics' shop (not the same one that had lied to me about the turbo) and threw myself on their mercy. I said I'd be happy to pay whatever an oil change cost, but I didn't want them to do it -- just please show me how to get the bolt loose. They were super nice about it. They broke it loose (they said whoever did it last way over-tightened it). They took a look at my crescent wrench and told me never to use it again -- that I should stop at Napa on the way home and buy a 14mm box-end wrench. I don't think they even charged me anything. Back at home, armed with my new 14mm wrench, I got the drain plug off, and the rest of the oil change went smoothly. I changed the filter and put the new oil in and closed up. My hands were shaking as I drove off -- surely all the oil was going to fall out right away, trashing my engine forever. But it didn't. When I got back, one of my housemates was home. He said "You look adorable." Apparently I had that grease smudge on my cheek -- you know, just like the girl mechanic in the movie. Maybe there was hope! And you know what? Once I knew how to do an oil change, I found it took less time to do it myself than it did to drive to the shop, drop off the car, arrange a ride home, and all the other hassle associated with having someone else do it. Doing my own oil change boosted my confidence incredibly. But I wanted to learn more. I wanted to be able to fix things when they broke down. It was around this time that I took up autocross racing. Of course, a lot of the guys at the autocrosses were great mechanics. I started asking them questions, picking their brains. My car still made that tick-tick-tick sound -- I'd pretty much learned to live with it since it seemed to be this mysterious thing no one knew how to fix. I asked one of my autocrosser friends. He said "Yeah, I've noticed you have an exhaust leak. You should fix that" He said it like, duh, doesn't everybody recognize the sound of an exhaust leak when they hear it? Normally that would be pretty easy, but on a turbo car it meant disconnecting all the turbo plumbing and moving the turbo out of the way. Eesh! Another autocrosser, an expert mechanic, offered to help. We did the job. It turned out to be harder than expected. Seems that previous mechanics, probably the nim-nuts who replaced the turbo, had messed up the threads in the aluminum head -- and instead of fixing it right, they'd just taken a stud with different threads and jammed it in. I learned all about taps, and Heli-coils, and other techniques that weren't part of the original plan. And the noise went away. We fixed it right. Not like the shop that was only interested in screwing another ignorant customer out of whatever they could get. I still wanted to learn more, and not be so dependent on helpful guys. I looked around for books. Shop manuals and Haynes and Chilton and Clymer manuals all assume you're already pretty comfortable working on cars. I needed something that explained things. I'd been kicking around the idea of getting a car just for autocross -- some older, simpler car that would be easy to learn on. One option I was considering was a Scirocco, and that put me on to Poor Richard's Rabbit Book: How to Keep Your VW Rabbit/Scirocco Alive. It was fabulous. It explained everything from the beginning -- what the various parts do, how to find them in a Rabbit/Scirocco -- but it was clear enough that it worked for any car, not just a VW. I inhaled that book. It was my bible for years, even after I gave up on the Scirocco idea. I chose a Fiat X1/9 instead. Everyone knows Fiat's reputation. The joke is that it stands for "Fix It Again, Tony" (though I always preferred "Fix It Alla Time"). A Fiat would surely force me to learn, fast. My new baby, Colibri (Italian for "hummingbird") was a mess of a car. It had been in several accidents. Just about everything needed some amount of work. It was perfect. I loved it. My first big job was a brake job in the parking lot of a San Diego Pep Boys, Poor Richard's and the Haynes manual in hand, the store handy so I could go in and buy tools I discovered I needed, a pay phone nearby so I could make long-distance calls to my boyfriend when I hit snags. (We were in the process of moving, but the brake job couldn't wait until he was there in person -- and besides, I wanted to learn how to do things myself!) I was there for hours, and used the pay phone several times. But I emerged triumphant -- covered in grime, but with brakes that worked great. Over the next few years of driving and racing Fiats, I learned how to re-jet a carburetor (and how to do it really fast when a bit of fluff from your sketchy aftermarket performance air filter clogs a carburetor jet when you're stuck in traffic on 101 and the car suddenly isn't getting any power from the primary). I got good at replacing the alternator, doing alignments, working on suspension; I replaced the exhaust system a few times, and eventually the head. We don't have to be at the mercy of the repair people in our lives. And that brings me to the Maker movement -- because fixing things, very often, is making, and that's something I hadn't realized at first. I remember watching my master mechanic boyfriend (the one who'd helped me with the 200SX) faced with the problem of a pop-up headlight that rattled. The link that held the light in place was worn from so many years of rattling along potholed roads. The part was available -- but look at it, he said. This will just wear out again in a couple of years. 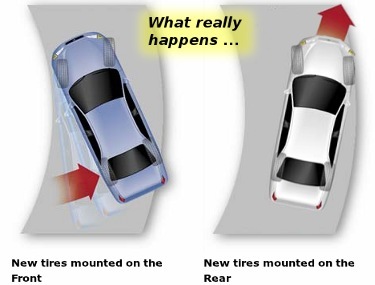 There's no lubrication, no adjustment, no compensation for how the angle changes as the headlight goes up and down. He redesigned it using a rod end -- a lovely piece of hardware that has a threaded rod (adjustable!) at one end and a nylon-encased ball bearing at the other. It came out far more solid and adjustable than the original ever was. No more bouncing! Later, when I got more confidence in my own automotive ability, I could do some of that myself. My proudest accomplishment was a set of adjustable spring perches made out of a toilet part from the hardware store. They cost about a tenth as much as the custom spring perches the top-flight autocrossers were using, and worked almost as well. I only wish I'd been prescient enough to have taken photos for a future website. When you take your car to a mediocre mechanic, like the one who lied to me about my turbo because he was too inept to recognize the real problem, you get the wrong idea. You come away thinking that fixing things is all about replacing one part after another until the customer stops coming back. But real fixers aren't like that. They look at a design and ponder how to make it better. They fiddle with things, and try out new ideas. If they're not sure what's wrong, they set up experiments, just like a programmer does chasing a bug, or a scientist testing a new theory. In today's world, being a Maker is hot now, while being a mere fixer isn't held in such high regard. But it should be. People who fix old stuff -- who can figure out how to take something broken and make it better than it was to begin with -- not only are creative Makers, they're also environmental heroes. They're our best hope to keep us from drowning in a sea of discarded junk. I'm still not that good at it. I try to fix my computer stuff when it breaks. I've learned a little woodworking, painting, plumbing and other home-maintenance skills from my husband, who grew up in a culture where most people worked on things like that. (That definitely wasn't true where I grew up.) I don't work on the car nearly as often as I used to in the Fiat days -- I have more money and less energy and free time -- but I try to do enough that I know what does and doesn't need fixing. When I don't know something (which is still most of the time), I google for help, and fiddle with things, and invent solutions, and sometimes I succeed, sometimes not. When I do go to a repair person, I can ask the right questions, and I can tell if I'm being lied to. Jon Carroll is right, of course. There's so "much we do not know about, well, most things." None of us has time to know everything about everything we own. But that isn't going to stop me from trying. Fixing is just as cool as making ... and maybe they're the same thing, really. And I still want to be Kaylee. Maybe I'm making progress.